Awesome treat for you today!!! Are you planning to go to PALAWAN? Witness its wonders and natural beauty! 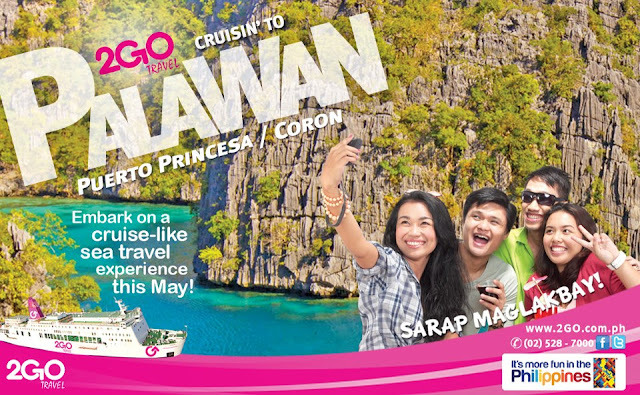 We don't want you to wait in vain so we are bringing back our Palawan trip. We sail every Tuesday at 4:30PM and Friday at 5:00PM. HURRY!! 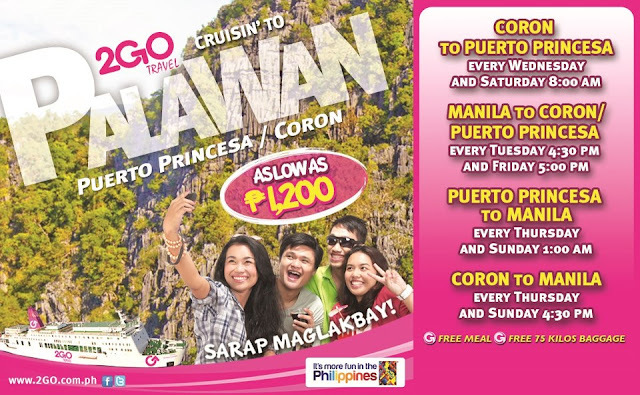 BOOK your Palawan adventure at www.2go.com.ph or call (02)528-7000. 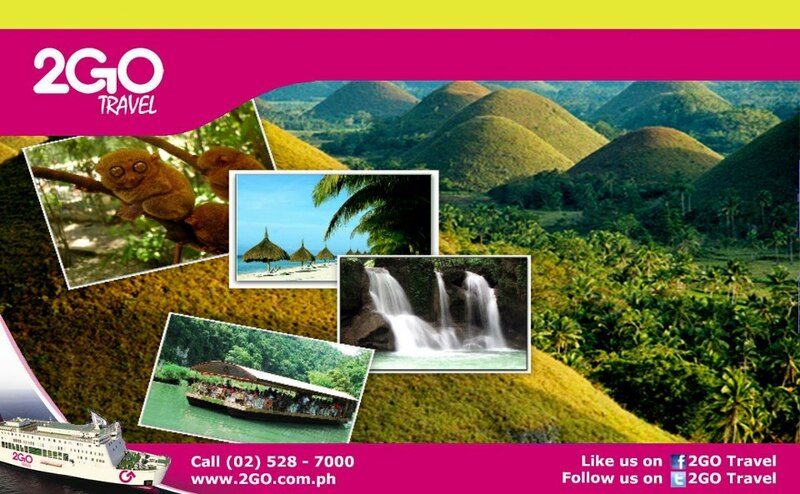 HEAT UP your SUMMER with 2GO Travel. SUMMER is more FUN in the Philippines via 2GO Travel. 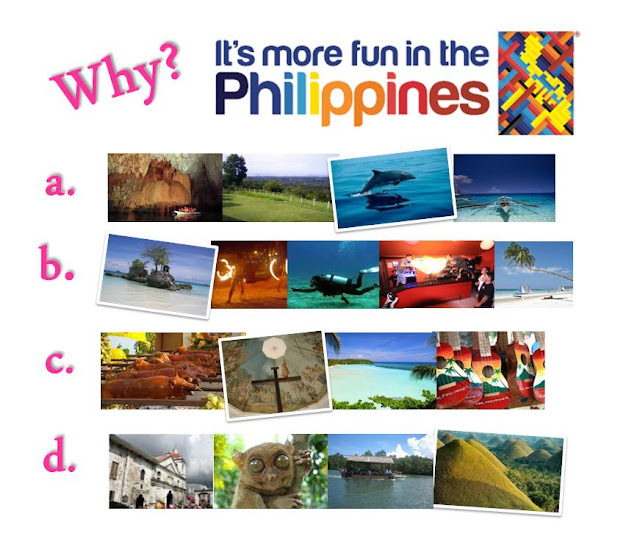 Be ADVENTUROUS, be EXTRAORDINARY and TRAVEL with US!